Home Hobbyist customers who are considering a Four Post Lift always have many questions about what lift to get and what factors to consider when trying to determine which lift to get for their home garage. Whether you are using it for storing one vehicle over another, or you are using it for servicing your cars, there are many details to base your decision on. The First question we would ask you is, what type of vehicles are you parking on, and under it? If you are parking a tall vehicle underneath, we would steer you toward an extra high lifting model. If your storing a couple of sports cars one over another, the standard height model would work just fine. How wide are the vehicles that you are parking on and under? We have some extra wide models with adjustable runways for SUV’s and full size trucks. We also have extra long models for your crew cab and extended cab trucks. Take a good look at our dimensional drawings on our web site. They’re there for a reason. Measure twice and buy once. You don’t want to get the wrong lift for your application. Make sure it will fit in your garage. Make sure you have enough width, enough length, and enough ceiling height. We advise you of a simple formula that applies for most of our parking lifts. If your storing one vehicle over another, simply add the height of both vehicles, and then add ten inches to that figure. And that’s how tall your ceiling must be. Ceiling height is important, but don’t forget about any other obstructions that may be above, such as your garage door opener, light fixtures etc… There are kits out there that allow you to move your garage door track and opener closer to your ceiling if necessary. Lets not forget about electric power requirements. Many Parking Lift models require 110v and some require 220v. So pay attention to that detail. 220v will be more powerful, while 110v is more readily available for most home garages. Another consideration is your garage floor. It needs to be fairly level and free of cracks. Each type of lift will have different requirements, but most 7000 lb to 9000 lb four post lifts will require about 3.5 to 4 inches of concrete at about 2500 psi. These are just some of the factors to consider when making a decision on your car lift. There are many others of course, including your budget, and ability to unload it from the delivery truck and install it. But those are subject matter for future posts, so stay tuned. Auto shop owners and fleet service managers who are looking to speed up productivity get an edge with the AccuTorq Torq Sticks. OEM’s choose them too. After getting the vehicle up on the Car Lift, the user to simply references a chart with a color code for any specific make and model vehicle. Then choose the corresponding torq stick, and it will allow you to tighten down the lugs to the exact proper torque every time. Never worry about over torquing and stripping wheel lugs anymore. And you don’t have to worry about researching the requirements for a specific vehicle, and then setting a torque wrench, and then you have to worry that the setting on the wrench is accurate. These torq sticks are the best made on the market, and are of the highest quality. Patented strobe marks stop turning at exactly the right time. There’s no guess work and no recalibration. No other Torq Stick manufacturer offers the quality, features and warranty that AccuTorq does. They are exclusively approved by many of the major car manufacturers, including Ford, GM, Chrysler, Saab, Volvo and Mazda. Also by Midas, Goodyear and Firestone. And now, we’ve just recently sold some to the US Postal Service fleet maintenance facilities. They all know this one fact – When it comes to quality automotive shop equipment, Accutorq is the best. Check out the video on our web site. Here is yet another installment of our customer pictures and testimonials. People are always asking us to show them more pictures and feedback from other past customers as well. They want to see the products in a typical auto shop or home garage environment. It gives them a better feel on how it might work for their application as well as showing them feedback from people just like them who have comments on a product or on our service. “I Just wanted to send you an email to thank you for your tremendous service! I bought a Bend Pak 10,000 lb two post lift a few months ago. You provided fast shipment and excellent customer service on freight damaged parts. I really appreciate all the help you all provided in helping me get the right lift, along with shipping it quickly and helping getting parts during the installation. Plus, you had the best price too!! I look forward to doing business with you in the future. 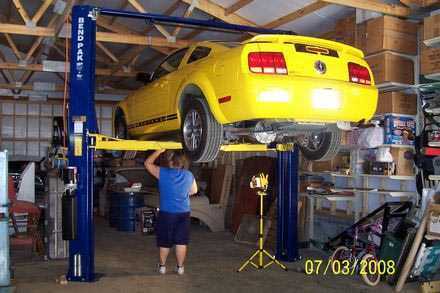 You hear us tell you all the time about BendPak Car Lifts and truck lifts being ALI Certified. But what exactly does it mean when a lift is ALI Certified? It means a lot. An automotive lift that has the ALI gold seal of approval shows that it has undergone a set of rigorous tests to prove it meets the required ANSI standards for lift safety and quality. These lifts are tested in an independent certified lab (ETL labs). It also means that the manufacturer’s facilities are periodically inspected to assure they comply with certain standards as well. ALI is the recognised authority when it comes to the quality and safety standards for automotive lifts. There is no other body that has the recognition that ALI does. This all means that you can purchase with confidence when your lift has the ALI certified gold sticker on it. Unfortunately, lately some lift manufacturers and distributors have sunk so low as to claim their lifts are ALI Certified when they are not. Check out ALI’s Buyer Beware post on their web site to see how many companies out there are purposely deceiving consumers. You can also go to ALI’s web site for much more information on this subject, and others, including which manufacturers and which specific models are ALI Certified, lift safety practices, what procedures they use to test auto lifts to make sure they meet standards, and much, much more. The Ranger R26EX Tire Changer has many bells and whistles. As a tire changer, it meets most automotive shop and tire shop needs. It has dual mounting helper arms, so you can handle not only low profile tires, but you’ll also be able to handle run flat tires. And we all know how popular those large, expensive rims are getting these days. If you’re not doing them, your competition is, and they’re making all that money that you’re passing up. Some shop owners look at it as, “I can’t afford to get one of those expensive tire changers right now”. But in reality, you can’t afford not to. Every day that goes by with your competitor raking in the money, with you turning people away, is a day you get closer to losing to the competition. It has all kinds of great features, and is very reliable. It can handle up to 26 inch rims. It has a tilt tower to tilt back out of the way to make sure you can get the larger wheels onto the turntable easier. You don’t have to worry about damaging those expensive wheels anymore. Plus, if your Tire Changer breaks down, Ranger has a one year warranty that includes on-site service if necessary. That’s something you won’t get with those bargain economy Tire Changers out there. And because Ranger is one of the largest automotive shop equipment manufacturers out there, you will always be able to get parts. Now is the time to get a Ranger R26EX. Customers looking for a top quality car lift would do well to check out our two post lifts, four post lifts and more specialty lifts by BendPak. Bendpak has been manufacturing automotive shop equipment for over 40 years. We have been carrying their products for over 14 years. We get tremendous feedback on their products. 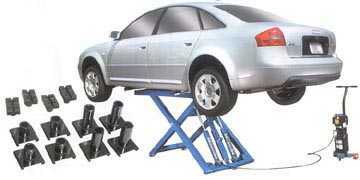 Most of their two post and four post models are ALI certified, which means they meet or exceed many of the minimum standards any lift must meet in order to be sold within the United States of America and that they were tested by the recognised authority on lifts, the Automotive Lift Institute. Most lifts aren’t ALI certified, so it means a lot when you are. Features will exceed the typical lifts on the market and the warranty will as well. Parts are always available, even on old, discontinued models. When it comes to automotive lifts, truck lifts and even tube benders, you can’t go wrong by choosing a BendPak Lift. 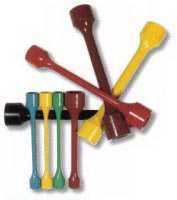 Plus, they are actually quite affordable for a high-end, high volume commercial quality lift. We will explore other manufacturers in subsequent posts. Contact us today to see what’s available. You are currently browsing the Car Lift Blog blog archives for July, 2010.